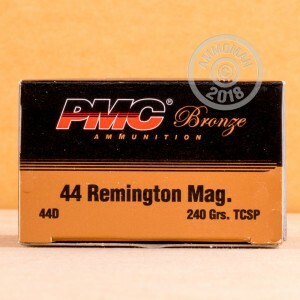 The 44 Magnum, or simply 44 Mag, was developed from the .44 Special. With the advent of this new round came new power. This round can be used in some states to hunt, and these particular rounds are designed for self protection. They demonstrate massive stopping power and reliable terminal performance. Each round in this box 50 is loaded into boxer primed, brass cases that are re-loadable. The projectiles are 240 grain Truncated Cone Soft Points that achieve a muzzle velocity around 1,500 feet per second. 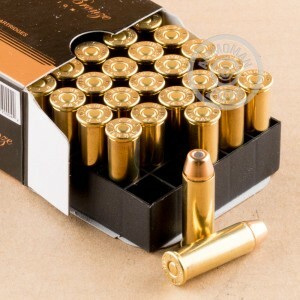 Pick up a box of this high quality self defense ammo today!